For the best selection of hotel accommodation in Kenmare, choose from 82 standard rooms, 42 superior four-star bedrooms, and two bridal suites at the Kenmare Bay Hotel. 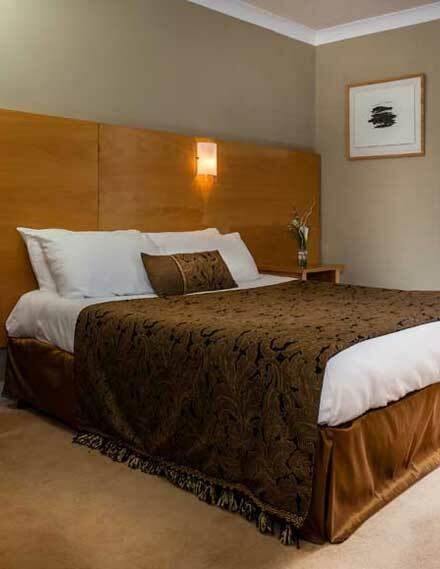 Your comfort is our priority, so we ensure that all rooms are en-suite, roomy, filled with light, and packed with features to make your stay more enjoyable, from multi-channel TV and direct-dial telephones to hair dryers and tea/coffee-making facilities. Your guest requirements are unique to you, so we can accommodate you with family rooms and interconnecting rooms, wheelchair accessible rooms and triple occupancy rooms. There is plenty of free parking to make life easier for you and we have a safety deposit box at reception for our guests' peace of minds. We love to see groups staying at the Kenmare Bay Hotel, so feel free to contact us for generous group discounts. All the bedrooms in the hotel are non-smoking. To make your stay at the Kenmare Bay Hotel even more special, we offer a selection of Superior four-star bedrooms for that extra touch of luxury. Each light-filled room is beautifully decorated in a palette of soothing neutral tones with luxurious furnishings for the ultimate in relaxing comfort. All of our Superior rooms feature a double and a single bed, and a number of Superior family rooms have an additional, fold-out sofa bed. When the occasion demands that extra level of opulence, book one of our two sumptuous Bridal Suites. These are uniquely furnished with custom lighting in the bedroom and a large, open-plan living room with comfortable lounge and well-equipped kitchen. Abundant space, elegant design, and understated sophistication define each of our four-star Superior rooms. Spacious bathrooms offer a gleaming, contemporary design and separate shower and bath. Each room offers flat-screen LCD multi-channel TV, direct-dial telephone, free WiFi, a hair dryer and tea/coffee making facilities. We know that every booking is different, so we offer family, interconnecting, and disabled room. 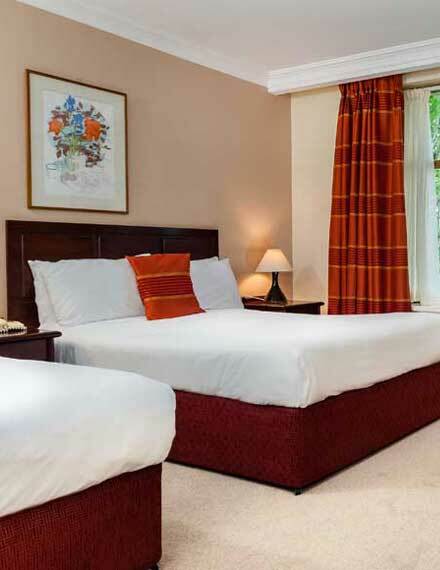 Feel instantly at home in a Kenmare Bay Hotel standard double & single guest room. The rooms are bright and airy, attractively decorated in soothing neutral tones, and full of light. Each of our rooms has been upgraded recently to offer you a comfortable stay in contemporary surroundings. Your room will have a double bed and a single bed, with a limited number of family rooms also containing a fold-out sofa bed. Features include flat-screen LCD multi-channel TVs, direct-dial telephones, hair dryers, and tea/coffee making facilities. 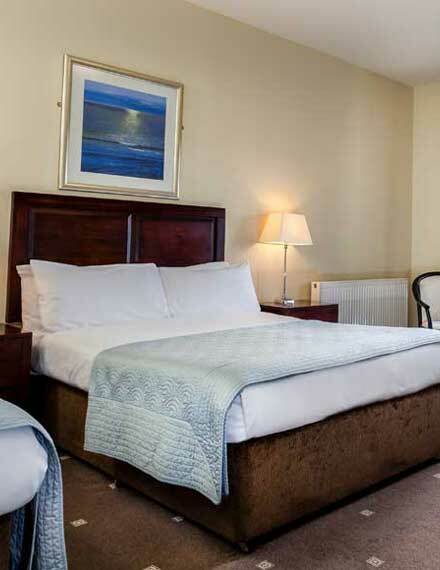 Your standard double or twin room at the Kenmare Bay Hotel offers comfort in stylish surroundings for up to two guests, accommodated in either a double or twin beds. Relax with a range of facilities, including flat-screen LCD multi-channel TV, direct-dial telephone, hair dryer, and tea/coffee making. For groups of three, we have some triple standard rooms available.